Our new “From the Archives” series offers a detailed look at selected previous podcasts in order to give you a fresh take on the episode as well as some actionable notes. 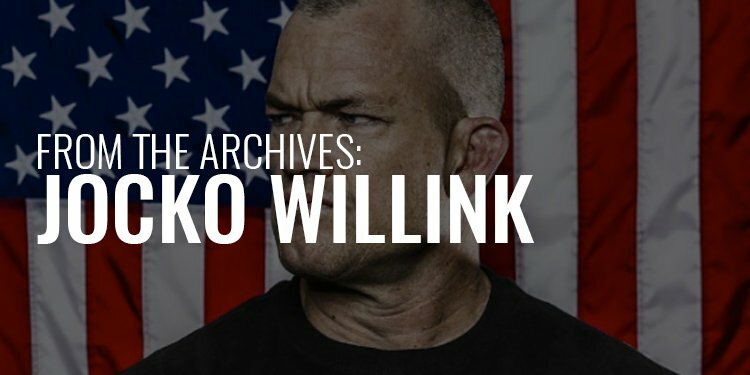 Jocko Willink is a bestselling author with a fascinating and decorated military background. He authored a book, Extreme Ownership, which crystallized Jocko’s experience as a Navy SEAL commander into actionable lessons and habits for the civilian world. Jocko discusses a friendly fire incident in which one of his SEALs accidentally killed a member of the Iraqi military. The operation was a perfect storm of mistakes that led to a death – people went to locations at the wrong times, moved to the wrong position altogether, etc. Jocko was ordered to shut down operations, return to base, and be prepared to brief, knowing that the higher-ups would want someone’s head to roll for this. As Jocko prepared for the briefing, even as late as 20 minutes before he was scheduled to present, he couldn’t pinpoint a single point of failure. Then, as he stepped further back from the situation, he had a moment of clarity: he was that single point of failure. He was the commander of the op. If something went wrong, all roads eventually led back to him and an unsuccessful communication of commander’s intent. What’s the number one reason that men aren’t doing this? EGO. People don’t want to admit being wrong. Ever. So, Jocko told Ryan that the very first step in this process is having the humility to cut into your ego to reform your character. Indeed, that humility is the opposite of anger and frustration, which is what society encourages. Blame someone! But Jocko notes that you need to take that frustration and anger and redirect it into leading and guiding. Part of that is giving them your vision, and if they are not on board with the vision, ask yourself firstly: Am I communicating/leading/explaining well? Beyond that, maybe, just maybe, my vision might be wrong. Am I listening to feedback? You can’t just tell someone to “shut up and accept the vision.” You need to convince them and bring them with you instead of just telling them “that’s how it is.” That’s leadership rather than dictatorship. Ryan noted that this was a concept that is perhaps the most important in the book – and of course it seems paradoxical to anyone who looks at it first. But upon further examination, it really makes sense. Am I going to get up early? Am I going to work out hard? Am I going to get my tasks done? These are Yes or No answers, and your life will reflect your answers to these questions. Having the discipline to respond “Yes” to these questions means that you will actually have more freedom, because you will get more done, and have more choice about what to do next. Okay, I get discipline. Now what? Jocko told Ryan that he didn’t believe that military training was not about following orders like a robot, but about thinking how to win in every scenario. In fact, if you had to consistently bring back decisions to your commander to decide, the entire team’s decision velocity would be slowed and impaired instead of being organically sped up. When he was in the military Jocko would encourage this adaptability in his men by giving them restrictions within a scenario in which the best way for them to accomplish objective would be to violate a directive he had put in place. How would they respond to this? So too, how can we think more creatively and urgently about obstacles in our way? Ryan shared a great story about his son and taking out the trash. “It’s too heavy, Dad.” Ryan responded by telling his son that he understood, but that it was one of his designated chores to take out the trash, and that he trusted him to figure out a way to do it. His son then adapted to the situation by dividing the trash into two bags and successfully took it out. Jocko put that lesson into a quote: “If you’re helping your kids, you’re hurting your kids.” “You’re not always going to be there to impose your rules on them,” he continued. “They have to do it without your oversight.” So, start early. Discipline, check. Adaptability, on it. Give me more! Cover and Move: If you’ve ever seen any military movie you have likely seen this maneuver. You are moving against an enemy – part of your group lays down suppressing fire to keep an enemy pinned down so that you can move to a better location. Once they are established, they do the same for you, and you can move forward on an objective together. If, however, at any point, someone goes on his own, or fails to lay down fire, the situation will quickly be reversed, and those holding the objective will easily pick apart your force. This works similarly in real life, particularly in teams at work. Everyone has to do his/her part in order to gain the objective. It may not be a glamorous part, but without it, things will eventually fall apart. Simplicity: Complex plans routinely fall apart. If you cannot understand a plan, both the higher objectives as well as your own part within the plan, you won’t be able to execute, period. 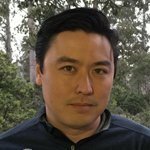 Prioritize and Execute: Singletask instead of multitasking. Triage by doing the most important things first. Before you know it, you’re going to be through your list. Jocko noted that whether you’re a man or a woman, as a human it’s important to be disciplined, work hard, keep your word, and not let people down. Remember, this is meant to highlight just a few of the things discussed and there’s much more of value in this episode, so take a full listen to it here. Please take a moment to thank Jocko for what he shared with us in this episode. The best way to get a hold of him is via twitter. This “From the Archives” episode was handpicked by our founder, Ryan Michler, from nearly 100 episodes, all of which you can find here. If this article or episode helped you, please consider writing a review for us on iTunes, as that will allow more men to find out about our work. Now stop reading and start doing!